The Commissioner of Police Lagos State, Zubairu Muazu, has ordered the immediate arrest and detention of 5 police officers suspected to be involved in the shooting of Ada Ifeanyi (20 years) and Emmanuel Akomafuwa (32 years) in the early hours of Saturday, while returning from a club in Apapa. The statement read: “Members of the team suspected to be involved in the shooting are from Trinity Police Station and are currently facing internal disciplinary proceedings at the Command Headquarters Ikeja. 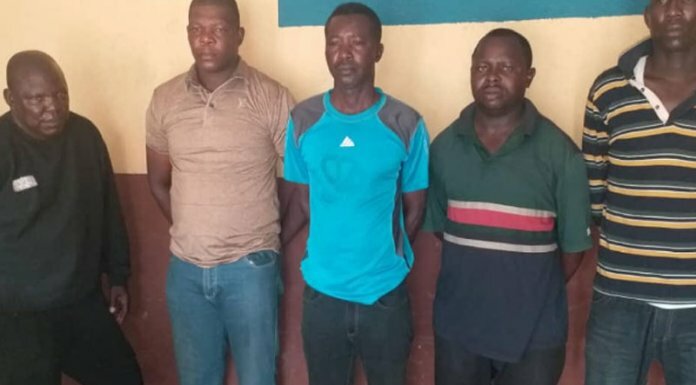 The policemen arrested are Inspector Adamu Usman, Sergeant Adeyeye Adeoye, Sergeant Kashim Tijani, Sergeant Lucky Akigbe and Sergeant Paul Adeoye; while Inspector Dania Ojo who escaped immediately after the shooting incident has been declared wanted by the Command. “Lagos State Police Command condemned in total these senseless killings of unarmed civilians by few ‘bad eggs ‘ in the Command, who are bent towards denting the image and reputation of the nation’s Police Force. The Command will not relent in its efforts in ridding the force of these criminal elements.